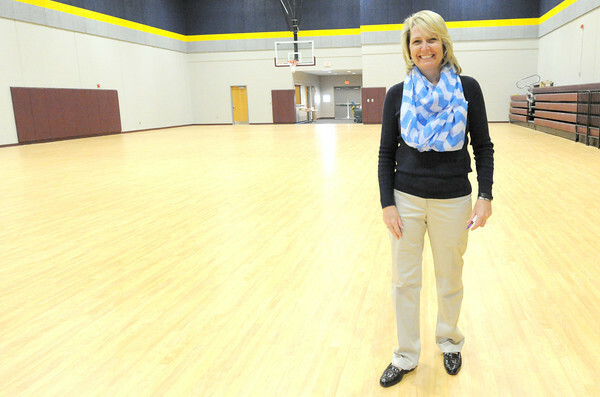 Cecil Floyd Elementary Principal Gayle Hennessey stands in the nearly completed safe room at her school. Hennessey said several community members have already been trained to assist in the event of serious weather. The grand opening for the gym will be April 30, with a magic show, hot dogs and reading activities.